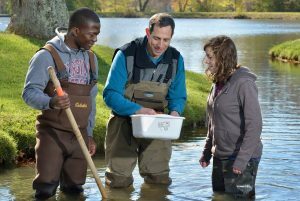 With an eye toward the future of water, Stephen Schoenholtz, professor of forest hydrology and soils in the College of Natural Resources and Environment, has been named president-elect of the National Institutes for Water Resources and will serve as president starting Oct. 1, 2016. The National Institutes for Water Resources is the entity that guides the nation’s 54 Water Resources Research Institutes and Centers, one in each state and U.S. territory. Together, they pursue the shared mission to support water research, train the next generation of water scientists, and extend applied research to stakeholders, including public officials, to help inform policy and solve regional and national water problems.